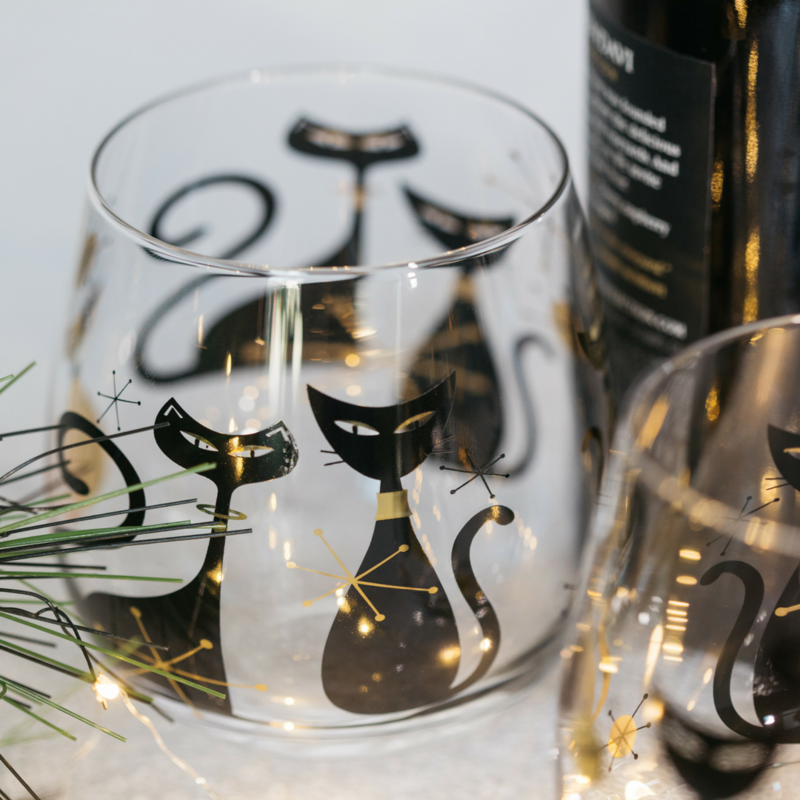 Your favorite wine, cocktail -- or any beverage! 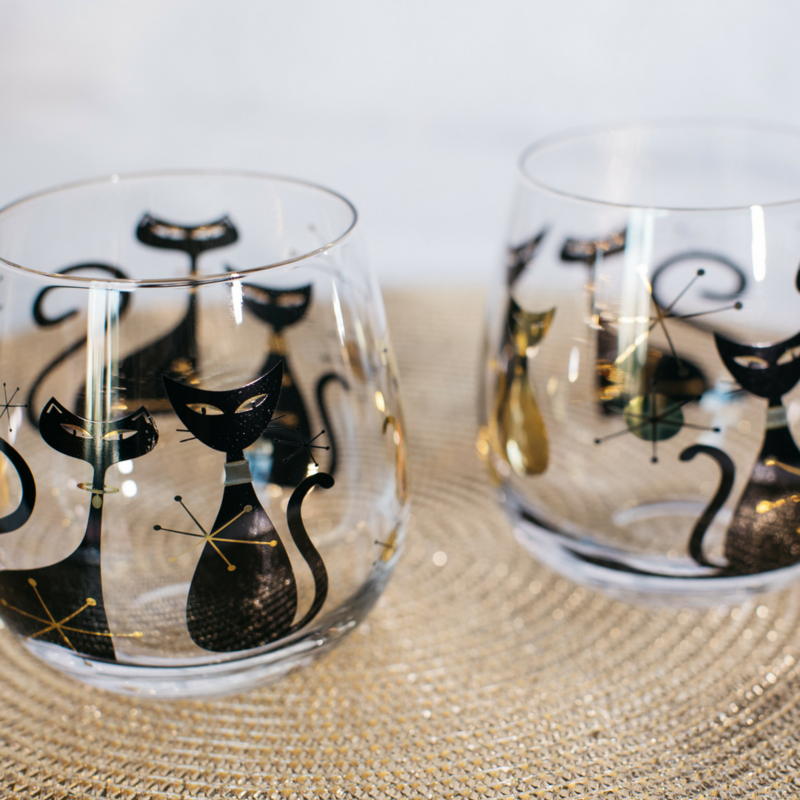 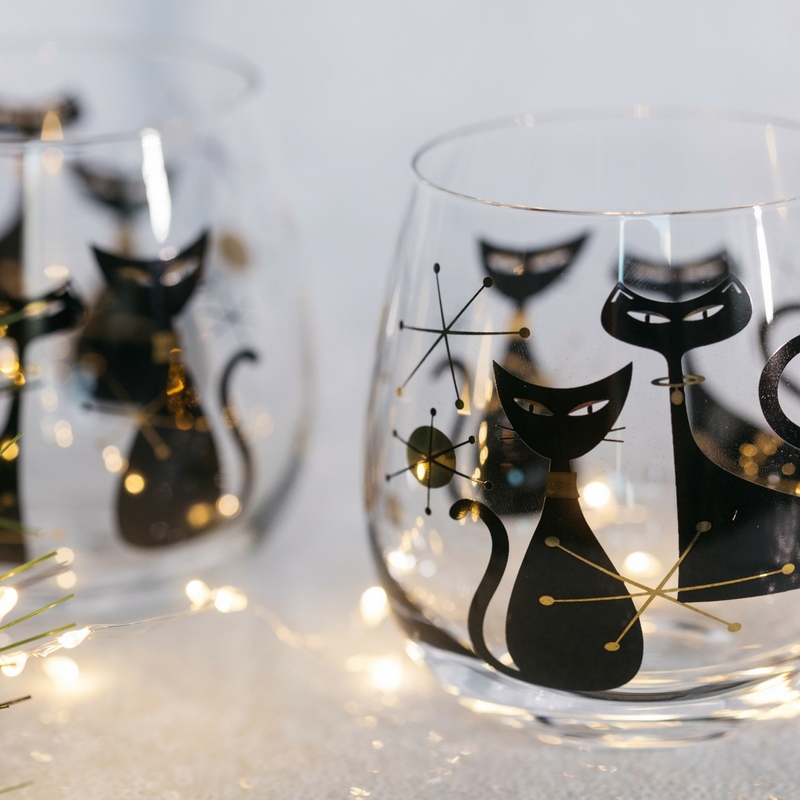 -- will taste even more ameowzing when you sip it out of these Mod Cats stemless wine glasses! 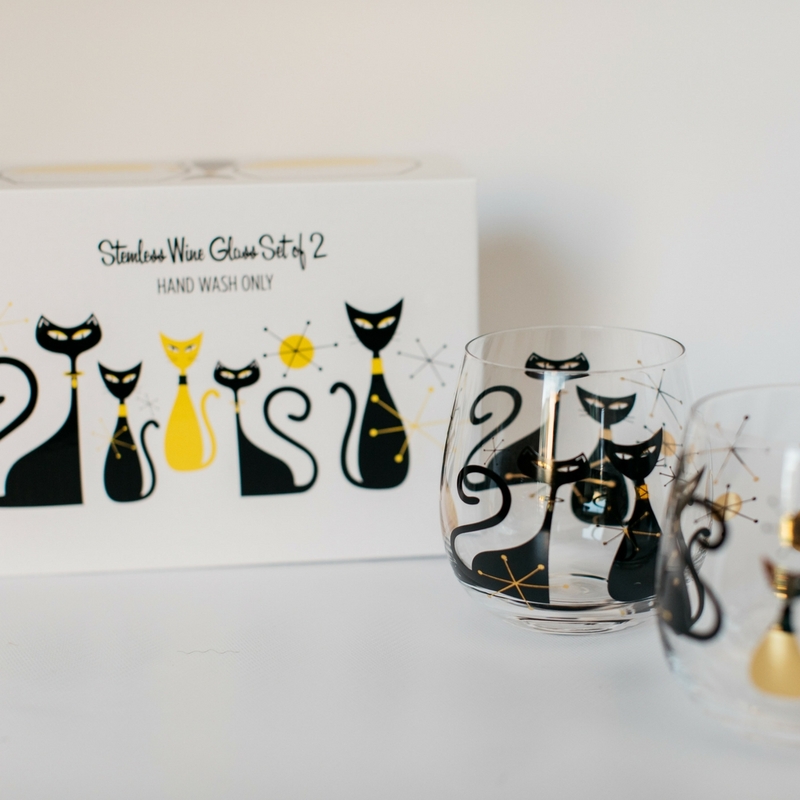 CatLadyBox wine glasses designed exclusively by us -- you can't get these beautiful mid century cat wine glasses anywhere else! 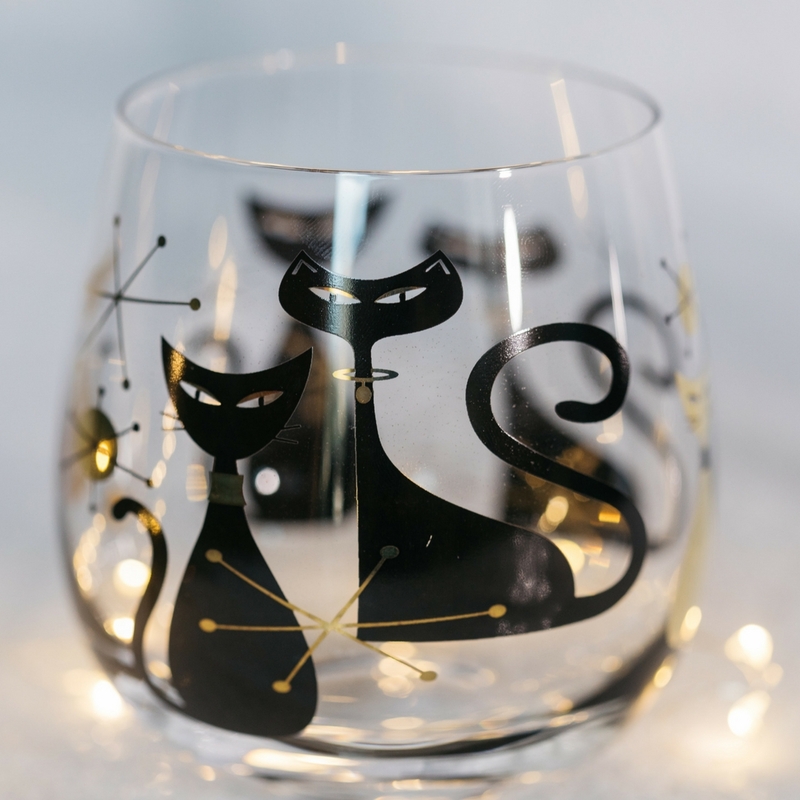 Set of two 16-ounce glass stemless retro cat wine glasses. 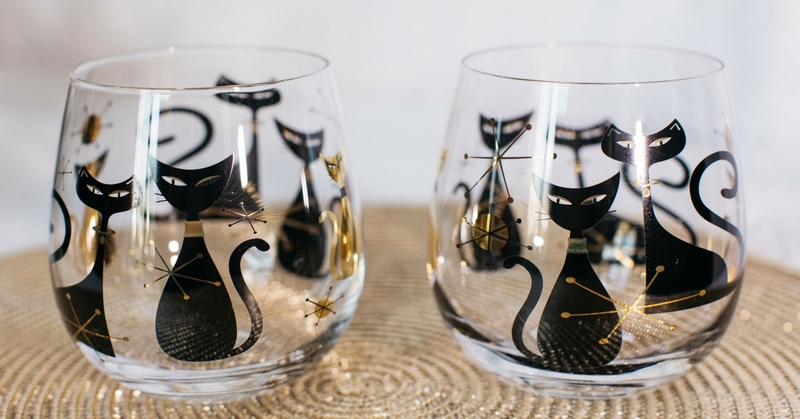 Black and gold cat mod cats design.